The mission of the CORE Health Foundation is to advocate for people with disabilities in novel ways through research, education, creation of public works, and awareness projects that remove barriers and biases in our society. The organization is currently raising awareness and funds to build an ADA Accessible Fishing Pier on Lady Bird Lake. On October 14, 2010, the Austin City Council approved the construction of the Fishing Pier through a unanimous vote of 7-0 following a recommendation by the Austin Parks and Recreation Board. 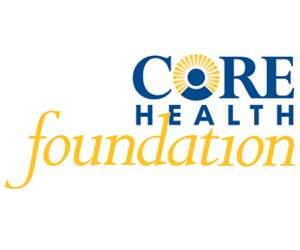 To get involved visit: http://www.corehealthfoundation.org/pier.php CORE Health Foundation also facilitates sharing best practices between brain injury research and treatment through the initiative, www.resilientmind.org. This project bridges cutting-edge neuroscience research with real-world patient care to identify how the brain responds to specific therapies—offering real hope for true neurological recovery.